A new tool has been launched by Google Developers team to measure several aspects of a website. The tool also includes a grading system to analyze the implementation of SEO on a website. This tool is in beta mode and can be accessed at web.dev. Web.dev is an online tool that was developed to provide the site owners and developers assistance in applying the latest web technologies. "Web.dev is the ultimate resource for developers of all backgrounds to learn, create, and solve on the web. It's meant to not only educate developers, but help them apply what they've learned to any site they work on, be it personal or business." Wrote Google Developers team on its news tools about page. Adding further, "Web.dev was borne of a belief that if we make high quality experiences easy to build, it will enable more meaningful engagement on the web—for users and developers alike. Simply put, we realized the only way the web gets better is if we help the people building it succeed." According to Google, this tool is designed after the analysis of user needs they have been witnessed in over ten years. To provide the best experience for website owners, web.dev has several audits including SEO, accessibility, performance, and more. SEO - Checks whether your site is up to the mark in terms of on-page SEO and discoverable to search engines and users. Accessibility - Checks for any possible issue that a website may commonly have that stops users to access your content. PWA - Assessment of your page against any baseline Progressive Web App Checklist. Best Practices - Make sure your website has everything including HTTPS usage etc. Performance - Checks for different metrics including the time to interactive to determine lag. 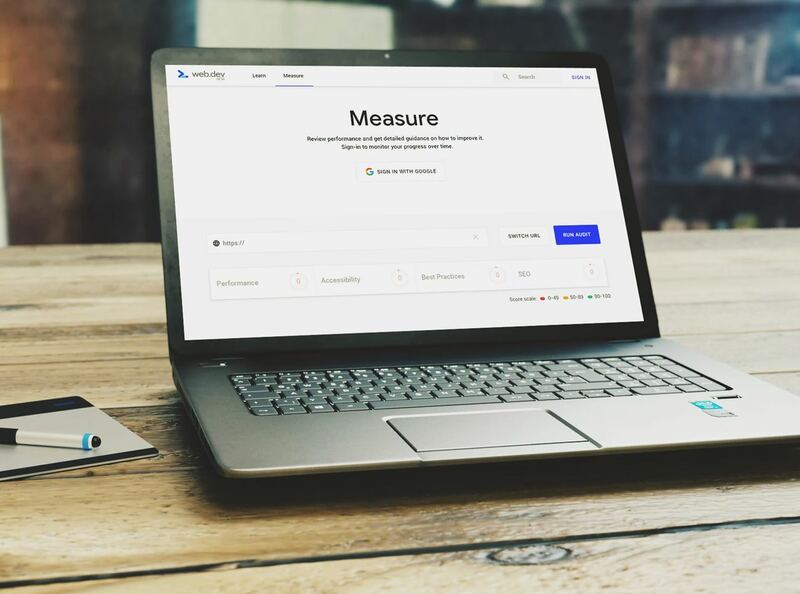 You can measure any website by entering your website on this page. Once your site is tested, you'll get the results and recommendations as per the tool's analysis. You'll be able to download a detailed report. This report provides guidance about the best practices that should be implemented on your website to make it more efficient. The tool generates reports on a daily basis, once you implement a recommendation on the site, you'll be able to see its report on the next day.